3.1, Why do DIY precious metal enthusiasts require a gold melting furnace? The precious metals industry has come a long way. From just being the exclusive preserve of alchemists and a few prospectors, the business of precious metals has become an all-inclusive playing field. As much as there are still large casting furnaces, there are now also small scale equipment to experiment with. 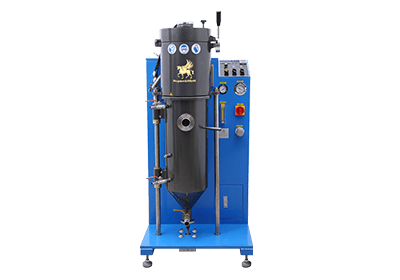 Small furnaces, homemade gold melting furnaces, and various other small scale systems have made the Gold Melting Furnace technology accessible to anyone who is interested in the industry. One thing that is common to everyone in the precious metals business is the choice of the right machine to choose. Either you’re an engineer at a big company trying to select a large scale furnace to handle all of your production throughputs. Or you could be one of the DIY enthusiasts of mining and precious metals. Whichever category you belong to, choosing the right equipment to work with can be a little challenging or even confusing. You may find it difficult to make a decision on which type or size of electric gold metal furnace (or any other similar system) to buy. If you are in these shoes, then you are reading the right article. Below we have compiled a comprehensive guide to help you choose the perfect precious metals refining system. Regardless of whether you’re trying to buy a homemade gold smelting furnace, silver smelting furnace, or you’re looking for a large-scale induction furnace for sale. We’ve got something here to help you make an excellent choice. Let’s start by taking a look at the best Gold melting furnace manufacturer and the kind of products they have to offer. Making the right choice starts with having an idea of exactly what’s available to choose from. And we are proud to introduce SuperbMelt(one of the top gold melting furnace supplier in China) to you, the unarguable industry leader as far as precious metal mining and refining equipment is concerned. We have more than a decade and half of consistent and top notch R&D under our belt. This puts us in a perfect position to develop the best machines; systems that work and deliver the highest value and returns on investment. No matter what you’re looking for as far as the melting or smelting of precious metal is concerned, Superbmelt has you covered. We have got wide and varied experience from the vast number of projects we have handled and successfully delivered. All over the world, from Australia to Asia (Thailand, India, Indonesia), to the Middle East (Iran), and across the oceans to Europe (Georgia, Kazakhstan, Turkey, Kyrgyzstan), Superbmelt has consistently delivered to customers’ utmost satisfaction. We have left a trail of happy and fulfilled clients around the globe who have continued to work with us to meet their precious metal refining needs and requirements. We would love for you to be among these satisfied customers. And that is why we have created this write-up. To start by helping you identify which exact equipment you need for your refining or smelting/melting project. 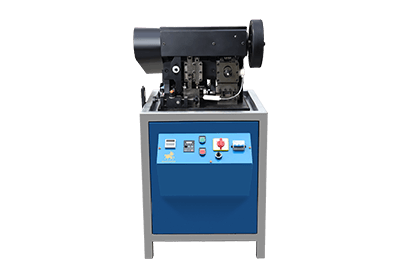 We will surely have a machine that suits your specifications perfectly and will fulfill the exact objective that you have in mind. This is because we always have silver melting furnace, gold melting machine, melting pots for sale, and more. However, in the event that we don’t already have such an equipment or device on ground. Our team of highly efficient and technically sound engineers are on hand to work with you and develop a custom made and uniquely tailored device to deliver your exact requirements. Our wide range of products (Gold, silver, or copper melting furnace, home casting furnace and other products) are the best in the market because of the advanced technology that drives their production. 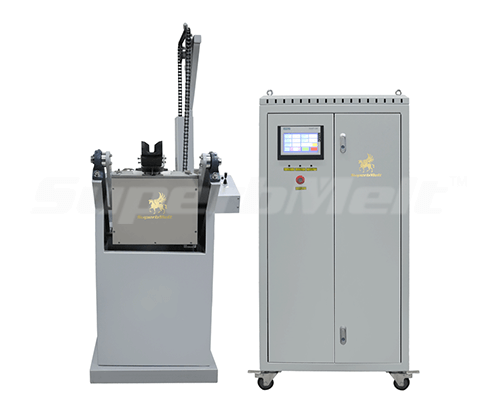 At SuperbMelt, we have developed our version and application of the IGBT induction heating technology and taken advantage of it. This has been one of our foremost research focus over the years because it’s a technology that has found application in a wide array of fields. Our assiduous team of researchers have been able to work on and develop a unique application of the IGBT tech for use in our furnaces and casting machines. The result of this is the development of highly efficient and energy saving induction heating systems which deliver high and variable heat levels for effective melting. With these systems you have the luxury of choosing exactly how hot you want your furnace to be. Another advantage of this advanced technology is its environmental friendliness, you can maintain your high profit margins without causing too much damage to the environment. Finally, at SuperbMelt, we don’t just sell you a machine and leave you to figure it out on your own. Our conscientious and affable sales engineers will provide continuous technical assistance, including help with installation and preliminary operations. Our support system is strong enough to ensure that you have someone to talk to at every point about any issues that come up in the operation of the machines you purchase from us. A lot of people make the mistake of thinking that gold melting furnace price is the most important factor to consider when selecting a furnace. This point of view is wrong. The most important thing to consider is the features and capabilities of the furnace (or precious metal refining device) that you require. Now that we’ve given you a glimpse into what we do and we have done in the past. You should be convinced that we are in the best position to help you select the right melting machine. To do that, let us, first of all, check out the array of various machines we have and see whether there’s something you may like among them. In this section, we’ll be embarking on an in-depth analysis of the various available gold melting furnaces for sale by SuperbMelt. This will be an extensive review of the capacity of each machine in terms of capacity (weight and size), technical details, and the range of customers who can find them useful. Please note that all of these furnaces were built with utmost precision and high level professionalism. They are of various sizes, and you are sure to find something that’s amenable to your purposes among these. 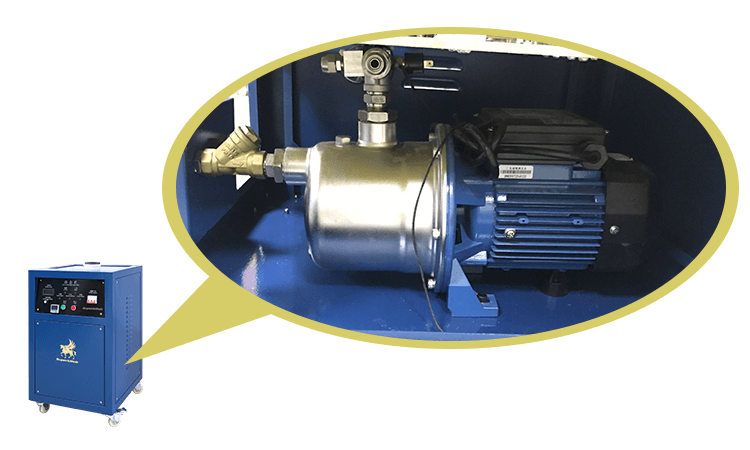 This compact and self-contained unit is the perfect device for your small scale gold melting operations. 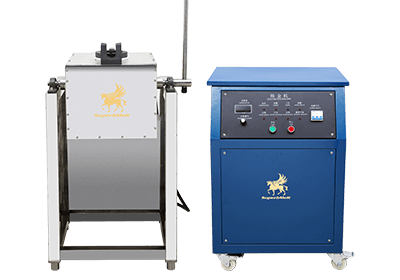 With a seamless design based on a non-obtrusive shape, light weight, and easy operation, the mini gold melting furnace provides you with high efficiency without the stress of complex operating procedures. Despite its small size, you may still perform relatively large melting operations on it, this will have to be in batches of 1-2kg however. You don’t have anything to worry about as far as quality and performance is concerned because this device is ISO CE SGS approved. What this means is that the professional bodies tasked with ensuring the quality of gold melting furnaces and other products have certified this machine as being fit for use. You can therefore be rest assured of the high level of quality and performance that you’ll get from this device. How is this furnace better than others on the market? 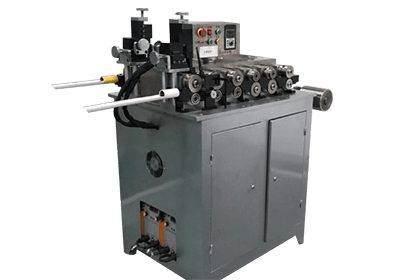 You may be wondering what the difference is between this particular product and those offered for sale by other automatic gold melting furnace manufacturing companies. Well, there’s a world of difference. 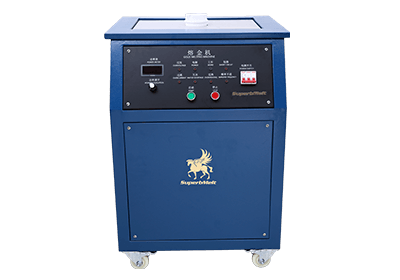 The Mini 1-2 kg gold melting furnace can heat up your raw precious metals from room temperature to a mind blowing 1600℃. That is about one third of the sun’s surface temperature, and this mini furnace reaches its maximum temperature in only 2 minutes. With the capability of working continuously over a long period of time, you can heat up to 150 kg of gold within just 5 hours. 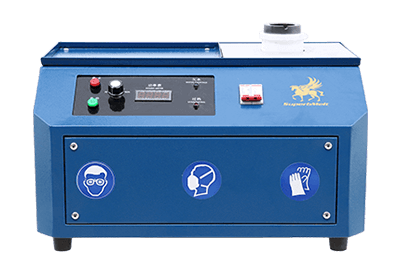 These performance indices put the Mini gold melting furnace in a class of its own, it is therefore your best bet if you’re looking for high quality performance in a portable system. 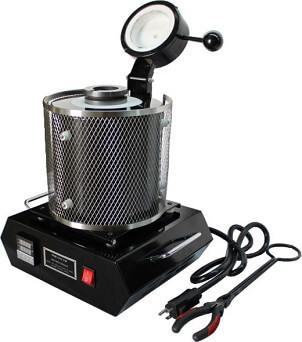 Who can use the Mini 1-2kg gold melting furnace? 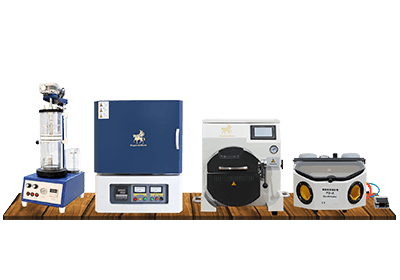 Small to medium sized gold manufacturing or refining start-ups: If you run a small business and are still trying to find your feet in the precious metals refining company, this machine is highly suitable for you. This stage of the business is where you have less capital to invest and more time and hard work to put in. The mini gold melting furnace allows you to get maximum value even in the absence of large scale capital intensive furnaces. Although a little more time may have to be expended due to the large number of batches required. Foundries and Jewelry Recyclers: For those who are involved in melting down scrap jewelries and other gold products, and refining them into new. The mini gold melting furnace is equally perfect. 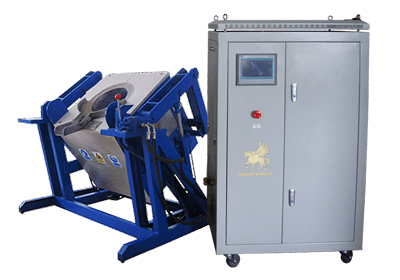 With its quick melting period, this machine will allow you to be done with the melting stage as soon as possible and move on to the other aspects of the recycling process. Personal Gold mining Enthusiasts: There are people who are interested in the collection and refining of gold, not for any business reasons but just as a personal hobby. 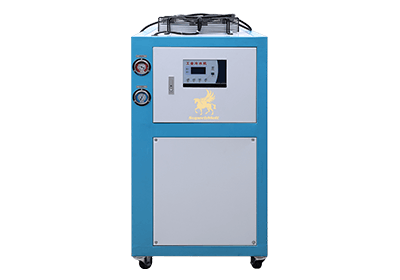 If you belong to this category, then this Mini 1-2 kg gold melting furnace is the best bet for you. Its compact size means you don’t need to acquire a whole new property or convert your whole garage to a personal foundry. However, it is important that you keep safety paramount in using the mini furnace. Ensure that it is kept in a place that is out of reach of children. Also, make sure it is used in a well-ventilated area, and be sure to make use of gloves, safety googles, and nose protection. 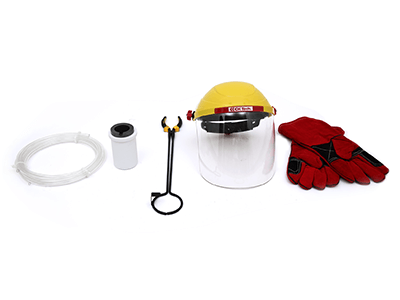 The operation of the mini gold furnace is pretty easy and can be learnt as quickly as possible by just about anyone with the ability to read. The controls are properly labeled and colored in a way to provide an intuitive approach to its operation. 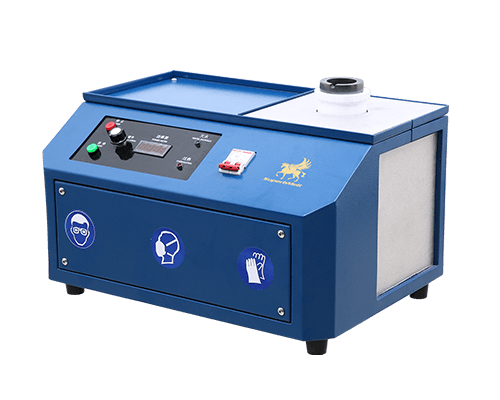 Either you’re a vastly experienced personnel in operating furnaces, you will definitely find it easy to use the mini gold melting furnace. However, if it happens that you experience any difficulties with the use of this machine. A detailed and well-explained users’ manual accompanies it on purchase. The users’ manual will guide you step by step in making a safe and proper use of the furnace. Finally, if you still have difficulties with operation or installation after using the users’ guide. You can always contact our customer support. We have a strong network of efficient technicians and engineers on hand who are more than capable of assisting you with whatever issues may arise. Utility and Flexibility: Despite the fact that the name of the product specifically includes the word “gold”. The functionality of this furnace is not limited to only gold. 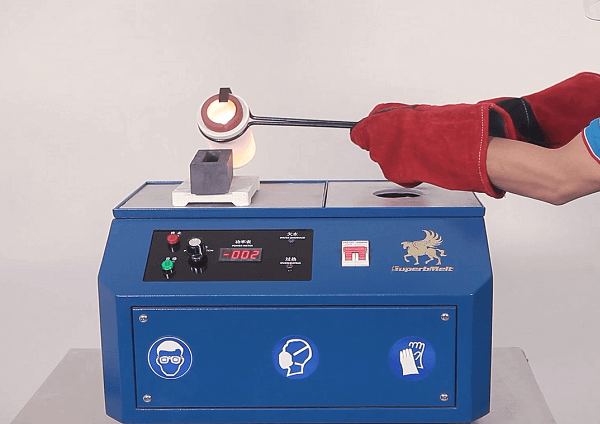 Other metals like Silver and Copper can also be melted using the 1-2 kg gold melting furnace. This flexibility means you don’t have to purchase another furnace separately for melting different metals. Cumulatively you end up with less costs and more profits in the long run. Green Technology: The 1-2 kg gold melting furnace was designed with the protection of the environment in mind. You can be rest assured that your gold or silver melting has no negative effect on the environment. There is zero emission of poisonous gases and you don’t have to worry about any pollutants being released into the air around you. Ease of Use: With very simple controls, a detailed users’ guide, tutorial videos, and a step by step installation manual. 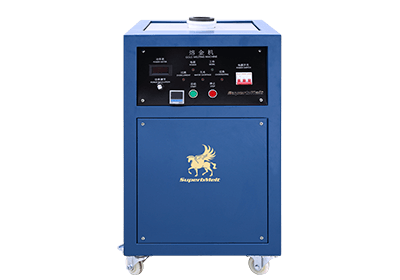 Installing and using the 1-2 kg gold melting furnace is as simple as listing the alphabets. Quite on the bigger side and designed for larger scale operations than the 1-2kg mini gold furnace. The Integrated 3-6 kg gold melting furnace can handle medium scale operations while still providing the same superior performance. Did we say the same superior performance, the correct description would be a better performance. 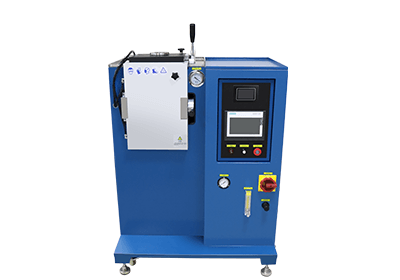 This integrated gold melting furnace can reach a maximum temperature that is as high as 1800℃. You would have to put in a lot of effort to find a similar product in the gold refining and processing market that gets close in terms of performance. The maximum temperature (of 1800℃) in only 3 minutes. This will be a huge boost for the productivity and timeliness of your foundry and mining operations. Safety features: An omnidirectional warning system accompanies this furnace and triggers off a warning when potentially dangerous operating conditions are being approached. This safety feature is a great advantage that ensures maximum up time and therefore, the highest possible profits. Zero Combustion: The major cause of environmental pollution has to do with the emission of carbon based effluents into the atmosphere. These are often as a result of the combination of oxygen with fuels. 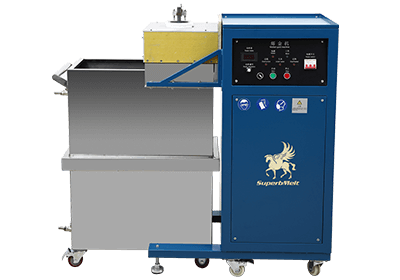 SuperbMelt’s integrated gold melting furnace successfully avoids this process, achieving the melting of metals in a completely environmentally safe manner. Most other furnaces similar to this available for sale make use of processes that generate slightly toxic gases. These cumulatively harm both the operator and the environment in the long run. 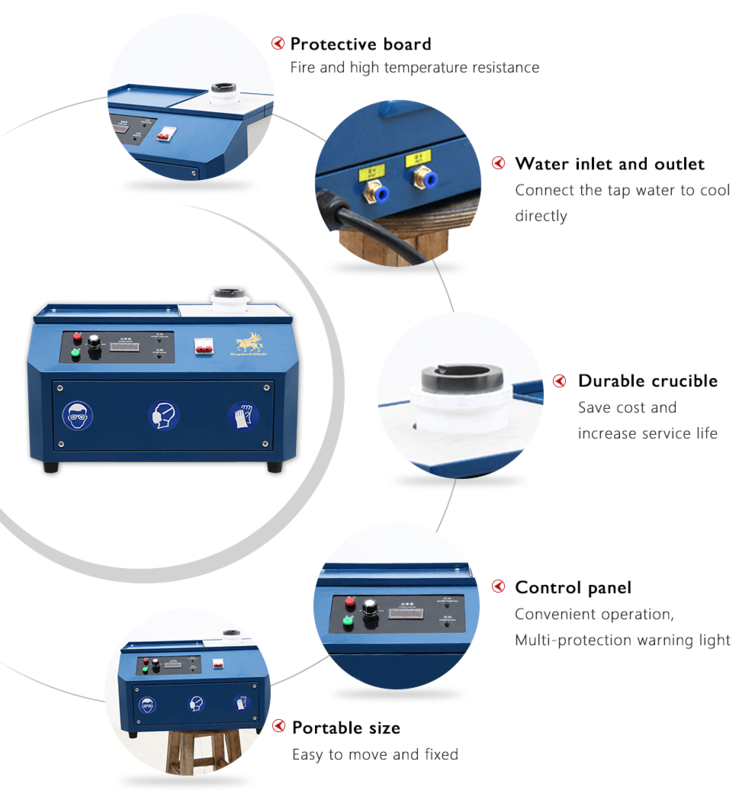 Therefore, the integrated gold melting furnace is the safest choice for you to purchase. 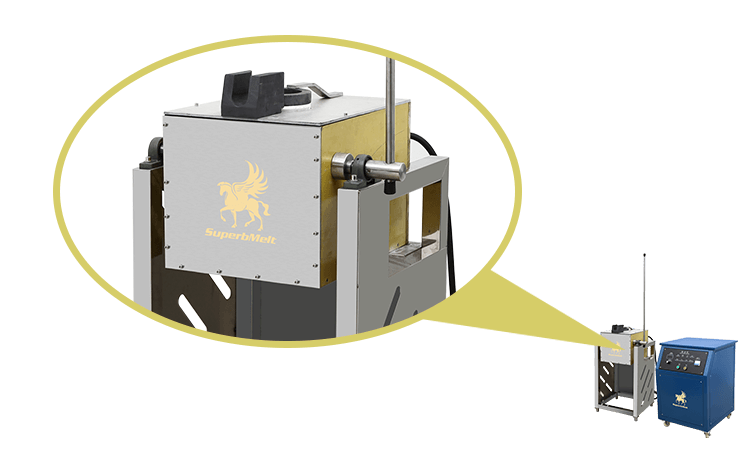 Low Power Consumption: With just 15kw, you can have this highly efficient machine melt as much as 6kg of gold in just 3min! This is huge as far as cutting power costs is concerned. The implication of this is that for three quarters of the energy required by the average furnace, you’ll get about twice the average output in terms of melted precious metals. You are therefore assured of increased profits and a more efficient production system. Ease of Maintenance: Designed with a removable crucible and easily accessible interior. 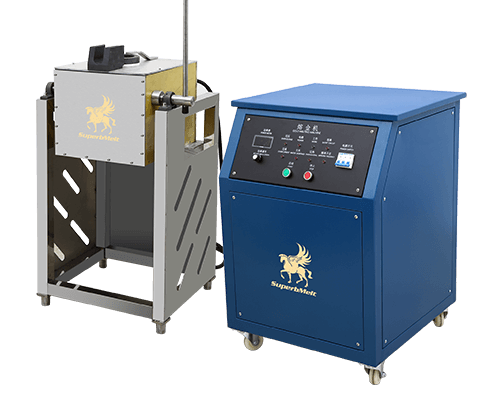 The integrated gold melting furnace can be cleaned within a few minutes or taken apart for maintenance checks. You don’t have to pay extra to have technicians give you a helping hand every time a minor issue comes up. This is particularly suitable for commercial operators who have more than one furnace and often have to pay so much to have them maintained all the time. A built in water pump is another feature that makes the maintenance of this furnace very easy. There is no need to seek cooling water from external sources. All you need to do is connect a hose to the water supply and the in-built pump will create the required suction to draw in cooling water and prevent the system from overheating. In the event of crucible damage, we have replacement gold crucibles for sale. You don’t have to replace the whole furnace just for a faulty crucible. 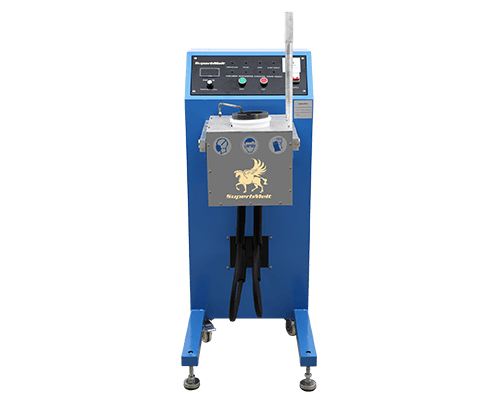 Loss reduction: In comparison with the more commonly used propane torch, or some homemade gold melting furnaces, the integrated gold melting furnace reduces the loss of precious metals. Having a large percentage of your desired raw metal getting wasted due to an inefficient furnace system is something no gold refiner wants to experience. 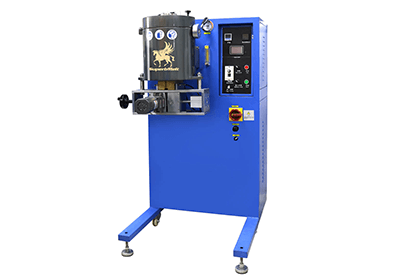 The integrated gold melting furnace with its compact and self-contained design ensures maximum precious metal recovery. Assurance of Quality: A 2 year warranty from the manufacturer (which is greater than the industry average of one year) shows a high commitment to quality and customer satisfaction. Clients from all over the world who have purchased, installed, and used this furnace all have glowingly positive comments. You can be sure that the product you are about to purchase is nothing but the best among the electric gold melting furnacesavailable for sale. Who is the integrated gold melting furnace suitable for? Gold Refining Laboratory: Due to the necessity of running different experiments and checking a wide variety of samples, Gold and other precious metals refining laboratories seeking to purchase a small furnace will find this medium range furnace very useful. Either you plan on running batch experiments, trying out different samples in groups. Or your plan is to run a continuous 24 hr operation (or more). 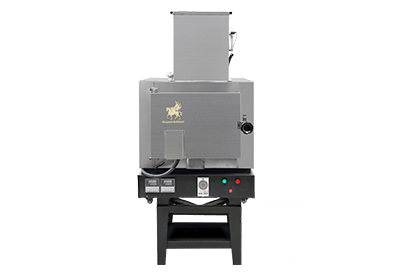 The 3-6 kg gold melting furnace can handle all your experimental needs. The superior temperature control made possible by the IGBT technology allows you to set your desired experimental conditions. This means you have repeatable and reliable results which are often very important to the success of any experiment. And in the event that you need any modifications to the original design of the machine for your specific experimental requirements. Our engineers and technicians are more than capable of working with you to deliver your exact needs. Old Jewelry Refining plants: Melting down old jewelry items, purifying them, and casting fresh ingots for the production of new jewelry is a highly lucrative business. 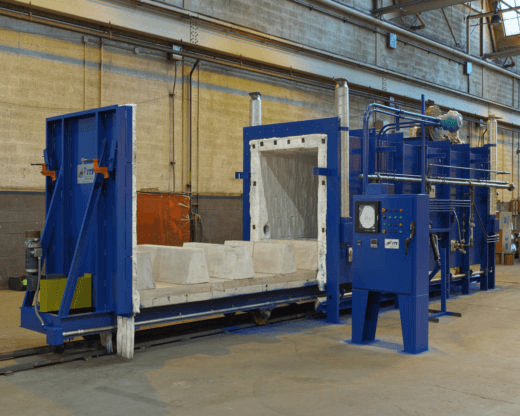 If you’re looking for a casting furnace?to move your business to the next level and drive your profit margin even higher, then the integrated gold melting furnace is exactly what you need. You can stack in far more old jewelries for melting than the average small scale furnace and have everything melted down within just a couple of minutes. 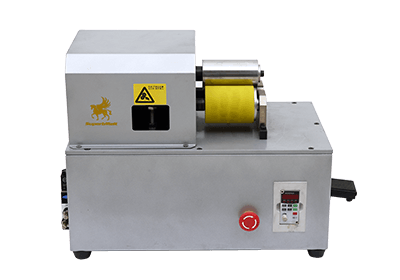 Metal/Gold foundries: Although this has been mentioned under the 1-2 kg mini gold melting furnace, it is only proof that SuperbMelt always has something for you to work with regardless of the size of your business. 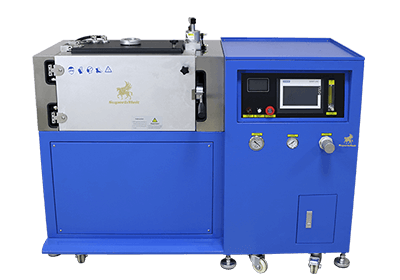 For foundries that are on a moderately large commercial scale, the integrated gold melting furnace will come in handy and suit your business requirements perfectly. Again, it is important to note that this furnace is not suitable for melting just Gold alone. It is too versatile to be restricted to just a single metal. Copper and silver, among other metals, can all be melted in the integrated gold furnace with equally outstanding results. Let’s get this straight from the beginning. The name might be a little ambiguous. The 1-4kg Platinum melting equipment does not work strictly for melting platinum alone. 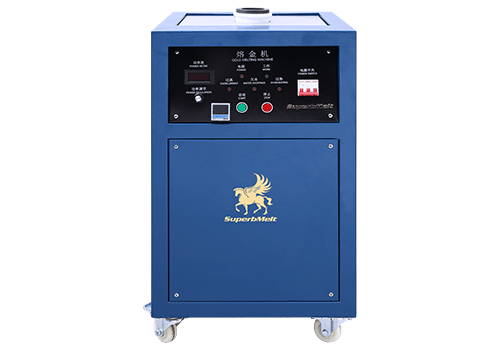 This highly compact furnace can operate equally efficiently in melting a plethora of other kinds of metals. Gold, palladium, Silver, Copper, Aluminum, and of course, Platinum itself are all metals for which the 1-5kg Platinum melting furnace is suitable in carrying out melting operations. You don’t need to search for a separate silver or copper melting furnace being offered for sale. Apart from just these metals themselves in their pure form, the 1-4KG platinum melting furnace also works just perfect for alloys of the above mentioned metals. No matter the heterogeneous nature of the metal combination you plan to melt. This furnace does the job impeccably and in record time. The technology behind the manufacture of this furnace is top of the line and the results achievable within the given time will surely blow your mind. This furnace is sure to deliver beyond your wildest performance expectations and give returns that match, and even far exceed your investments. You may be wondering what it is about this furnace that makes it deserving of all the hype and excitement that we seem to be building around it. To put your doubts at rest, below is an interesting stat to convince you. 2600℃ under 5 minutes: Try to beat this with any other gold smelting furnace, silver melting furnace, or generally any casting furnaceof a similar size on the market, we’ll wait. 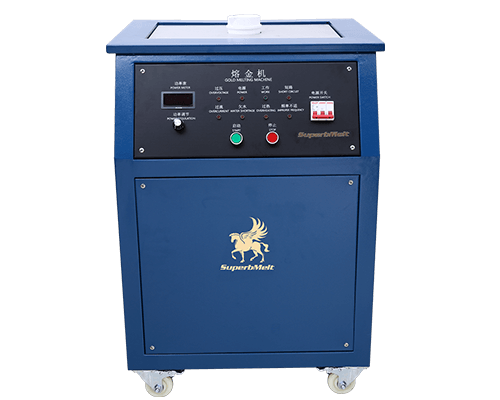 The 1-4kg Platinum melting equipment is powered by the highly proficient IGBT technology. This takes the interior of the furnace to a maximum temperature of 2600℃ without you having to wait till eternity for your precious metals to turn liquid.This is an outstanding future of the furnace, but there are far more reasons why this furnace is something you should purchase as soon as possible in order to move your foundry and precious metal refining business to the next level. Intuitive Operation: As much as everyone wants to achieve good turnover ratios and generate the maximum profit. We still want to do it as easy as possible. No matter how efficient an equipment or machine is, it becomes counter-productive when you need to get an advanced degree just to figure it out.This is not the case with the 1-4kg Platinum melting furnace. The controls were intentionally designed with the ease of the operator in mind. With start-up and shut down operations that can be learnt in under 5 minutes (the amount of time it takes to reach maximum temperature). And even in the even that difficulties arise in trying to figure out the operational procedures. A detailed user’s manual spelling out the usage and controls of the furnace accompanies it on purchase. This will guide you every step of the way and point out all you need to either efficiently operate or troubleshoot the furnace. If you still can’t figure out some parts of the operational procedure. Our team of technicians and engineers are at your beck and call. All you have to do is get in touch with customer support and your issues are as good as fixed already. Homogeneity of Molten Metal: A common problem often faced by many operators in the use of furnaces is the inability to mix the smelted gold after melting. Considering the high temperatures involved in gold smelting (and that of other elements), you can’t just reach inside and try to mix it properly.Unfortunately, there are disadvantages that come with not having a homogenous mixture. One is the clumping together of particles at some point, and if allowed to cool with such, knots may form. Another is the formation of holes or discontinuities within the cross section of the final product made with such molten metal. The 1-4kg Platinum Melting furnace solves this problem interestingly. With an in-built stirring system, you can be sure that no clumps or holes are getting formed in your molten material. 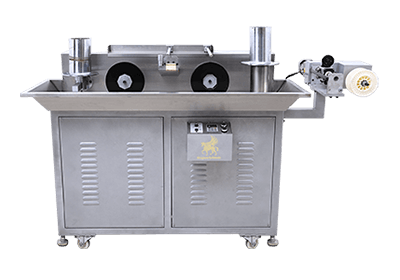 The continuous electro-magnetic stirring system keeps the molten mixture well mixed, giving you the assurance of a smooth and well finished jewelry product when the process is over. Compact Size: Getting ample space for a furnace to fit in is usually another big issue for operators of jewelry plants. There are often a lot of other devices and machines to use and they have to be economical with space in order to have everything under the same roof. The 1-4kg Platinum Melting furnace easily solves this problem with its economical size. Despite the efficiency of this technological wonder, it is unobtrusive in size and fits snugly in a not-too-big space. This unique combination of utility and portability is something you’ll be hard-pressed to find anywhere else. Again, here’s another reason why the 1-4kg Platinum melting furnace is the best choice for your foundry. Who’s this furnace Meant for? Here, we take a look at the various categories of individuals or businesses that will find this furnace useful for their operations and purposes. New Business R&D Units: Often, the cost of setting up a standard Research and Development laboratory for new companies can be quite on the high side. Yet, R&D is an indispensable part of expansion and progress, especially in the precious metals industries. A furnace like the 1-4 kg platinum melting furnace delivers the advantages of Research on a small scale without causing the company to go bankrupt.A furnace like this can be used to experiment with tractable amounts of precious metal at various temperatures. It then becomes possible to try out various melting processes, and figure out what works and what doesn’t. This furnace is also suitable for laboratory use because of the well-covered design which will prevent any fumes from escaping and fouling up the environment. Jewelry Refinery Plants: This is another industry that stands to benefit immensely from the use of the 1-4kg platinum melting furnace. 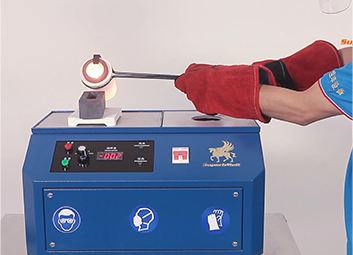 With the maximum temperature of 2600o C in five minutes, you can easily melt as many old jewelry items as possible within a short period of time, getting more in return and increasing your turnover quickly. Think of a smelting equipment that is capable of melting either 12 kg of gold, 4kg of platinum or 6kg of silver and you have this piece of technological wizardry. This is obviously more on the larger scale than any of the previous ones. 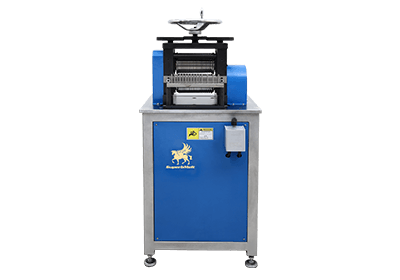 Businesses or laboratories that require batch operations with more volume in every single batch will find this smelting machine a great source of relief. It will help to prevent repeated replacement of raw precious metals since it can contain twice the volume of the average smelting machine. We understand that smelting presents a possible health problem to workers and operators due to the release of toxic gases. However, our advanced IGBT technology goes about achieving the maximum possible temperature in such a way that the toxic by-products of the smelting process are as minute as possible. Beyond just ensuring worker safety, this feature is also an effort in ensuring environmental protection. At Superbmelt, we don’t only make profit �Cgenerating machines, we are also concerned about ensuring that the equipment we build are not sources of degradation to the environment. Ease of Maintenance: Buying a new furnace or smelting machine is only a part of the story. The part of the business that gives foundry and jewelry refining plant owners nightmares is when it’s maintenance time. Maintenance can be a pretty tricky operation for many reasons. The first is the amount of effort it takes to dismantle a furnace or smelting equipment and get it cleaned or put in proper shape. Another part that makes operators loathe this process so much is the amount of important downtime lost when maintenance is going on.A lot of production which would result in profit often has to be halted in order to properly run maintenance or even routine cleaning on smelting equipment. This is not the case with the 12kg gold smelting equipment. An easily replaceable crucible design ensures that the crucible can be extracted and cleaned in just a couple of minutes. This convenience significantly reduces the necessary downtime for maintenance activities. 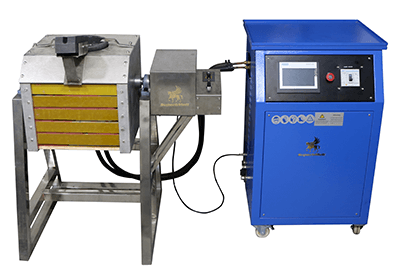 You can therefore get your cleaning and scraping out of the way in a couple of minutes and restore your smelting equipment into operational mode as quickly as possible. Tilting Furnace design: Since the period of the industrial revolution, the days of the huge steel factories. The spillage of molten metal has always been a safety risk for operators of furnaces. The metals industry has been consistently on its toes trying to find a way around this issue. Apart from hurting furnace operators, spillage also leads to wastage of the molten metal.To ensure safe and efficient operations therefore, these two problems have to be sufficiently dealt with. At superbmelt, our tilting furnace design is a perfect solution to these problems. With the tilting furnace design, transferring molten metal (after smelting), either into the mold or anywhere else just got easier. No wastage due to spillage, no workers’ skin peeling from accidental spills. Just lift the lid, pull down the lever, and watch your molten metal flow as smooth as velvet into whatever container you want to transfer it into. 24-hour operation: Ever had to use a furnace that had its coil or some other internal part get burnt out after operating for a long period of time? You will definitely agree that this is a very annoying situation. Why spend scarce resources on an equipment that will only last for some hours before requiring repairs or some part replacement? The 12kg gold smelting equipment can work all day round without giving the slightest hint of dysfunctional operation.The only limits to its operation are human tiredness and perhaps electricity supply. As long as you have a stable source of power and consistent man power (staff on various shifts for example). Our gold smelting equipment will deliver sublime performance day in day out and week in week out. There is no limit to how much you can boost your bottom line profits with an efficient machine like this one. Now we’ve left the small and medium size furnace categories and we’re approaching the really big guys. This massive 20-30kg packs all the wonders of technology that we’ve outlined in the previous furnaces. But in this case, they are even slightly upgraded and better. 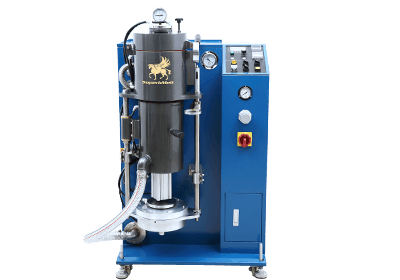 The 20-30kg Gold smelting furnace is a winner anytime and is sure to put you ahead of your competitors in the precious metals business. Various companies that have ordered this product over time have kept giving us sterling reviews. In fact, a particular company claimed to have made so much that they ordered another unit of the same furnace all over again. It’s understandable if you find all of this a little too good to be true. But by the time you’re done going through the various distinctive features and characteristics, you’ll understand why this equipment is such an absolute banger. And we hope that you’ll get in touch to purchase one or more units too. So, let’s get to it, what are the things that stand the 20-30kg gold smelting furnace out among equivalent machines on the market? Split Tilting Furnace Design: Remember the tilting furnace design we mentioned earlier? The one that ensures safely pouring the molten metal without spillage or wastage? Well, it’s gotten a nice upgrade with the 20-30kg smelting furnace. Considering the size of this furnace, it’s obvious that the normal tilting design might not be as effective.This is why we incorporated a separate tilting system, which is standalone from the main furnace body. No matter how much molten metal you’re pouring into the mold, you can stay completely safe without fear of wastage or operator injury. This is an innovative feature that ensures that you still get the same high level of quality despite the increased amount of metal being handled. Compact Design: There is a kind of complexity associated with the circuits and components required for putting together a working heating system. Because of this, many traditional furnace designs have circuits and wires that are jumbled together and just all over the place. This is not so for the 20-30kg melting furnace.With our enhanced IGBT technology coupled with a micro-chip supported circuitry, all the parts and components are tidily arranged in isolated, yet interconnected, units. In the event of repairs or maintenance, all you have to do is order a replacement unit rather than having to take each component apart for troubleshooting. Intrinsic Hazards Prevention:Another frequent issue that is associated with heating systems is that of electric hazards. Heating- especially for smelting or melting applications- requires a lot of electricity. 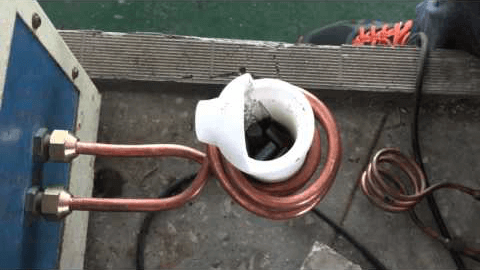 Because of this increased load, the probability of high voltage trips occurring is greatly increased.Also, melting of wires which are not too strong leading to short circuit and tripping off is another common issue that occurs with furnace systems. ?With this smelting furnace however, we have taken proactive steps to ensure that none of this problems occur in any way. All of the parts used, from wires to even the tiniest screws, are of the highest possible quality. They are capable of accommodating a slightly higher level of electricity than is required. Also, an emergency trip system is included, powered by a sensor that can immediately sense inordinately high voltages and cut off electricity supply instantly. Frequency spikes, over current, or water shortage are all circumstances that have been adequately envisioned with preventive systems in place to contain them should they occur during operation. This meticulousness with safety is another factor that makes the Superbmelt 20-30kg smelting furnace stand out. Availability of Options: At Superbmelt, we believe in offering our clients options to choose from. No matter how good a device is, we understand that requirements vary as well as purchasing power. With the 20-30kg gold smelting furnace, you have the ability to choose from two different models- the SPB-TB25, and the SPB-TB35. Both are virtually the same as far as the core functions and specifications are concerned.But slight differences in volume and weight of raw metal to be melted ensure that you can find something more amenable to your production needs. Regardless of which model you eventually choose to buy, you can be assured of the same maximum temperature of 1800oC achieved in just between 6 and 8 minutes. 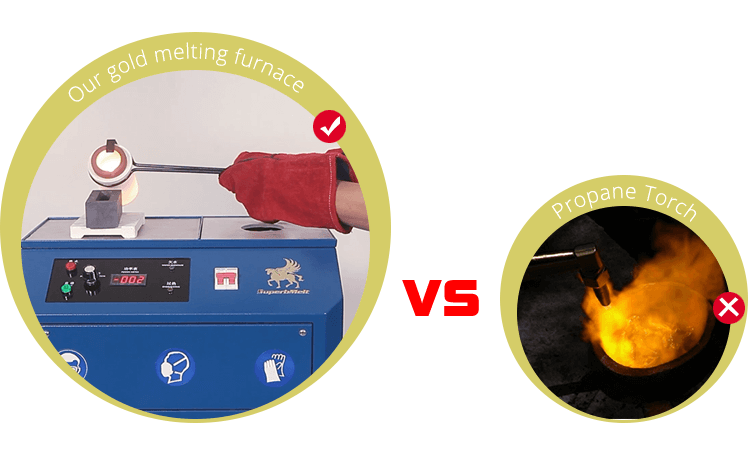 Below is a table outlining the differences and guiding you on the right smelting furnace model to choose. Versatility: Wouldn’t it be a waste if a furnace this big and high tech was designed only for melting gold? Of course it would, that is why the 30kg smelting furnace is capable of not melting just gold, but other precious metals like Silver, Brass, Bronze, and Copper. Alloys of these metals can also be melted as well. 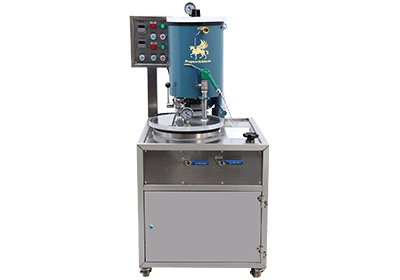 You don’t have to be worried about inconsistencies in color or texture from melting various metals together.An electromagnetic stirring system ensures that proper mixing is done, effectively eliminating any separation. This makes the furnace highly useful especially for jewelry refining plant where an assortment of old jewelry materials are often brought to be refined into new products. All of the above are the various benefits of purchasing the 20-30kg Superbmelt gold smelting furnace. To enjoy all of these coupled with unmatchable customer services, all you have to do is get in touch with us and place an order. It’s normal practice to save the best for the last, and that’s what we’ve done here. The description in the title of this subsection does not refer to a single equipment. Rather, it refers to a range of melting furnaces capable of melting precious metals ranging between 10kg to 50 kg of Copper, Silver, or gold. Chain Tilting Mechanism: We’ve already highlighted the tilting furnace design on the last two furnaces we discussed. But this time, it’s on a whole different level. When you’re dealing with a furnace that has the capacity to handle 50kg of gold, you can be sure that the volume of molten metal that will be produced is not negligible. This is why extra care must be taken in ensuring that splashes are spillage are prevented. To achieve this aim, a chain system has been incorporated for controlling the tilt mechanism. Driven by the induction furnace motor, your molten metal gets transferred into the old in an extremely safe manner that cancels out waste. 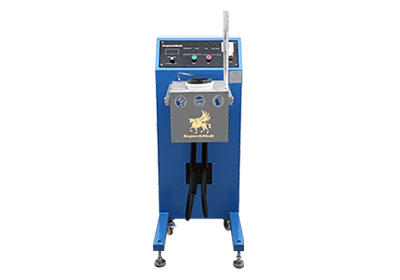 This is the best as far as electric melting furnaces for sale go, and you can’t afford not to add this piece of technological magic to your company’s inventory. Interactive Control Interface: A touch screen control panel based on Siemen’s PC control system gives you absolute control over your smelting furnace. The start and stop options only require a tap on a screen. Controlling a furnace has never been this easy, and it will take quite some research and tinkering to get a more intuitive system to work with. Also, operation parameters like Output power, Output current, output voltage, output frequency, and heating temperature are all options to select right off the screen. You can also monitor the amount of time spent in operation and easily take preemptive steps in the event of any abnormalities or undesirable operations. All of this make the furnaces in the 10-50kg Chain tilting furnace range an absolute delight for operators and business owners all over the world. Induction Heating Technology:Currently the most efficient technology for systems that require the supply of heat. Apart from heating metals to their melting point in a short time, this innovative technology also consumes far less power. Adding this to the deployment of our IGBT research, your furnace gives you far more output while requiring way less electricity/energy input than the average furnace. You get to spend less on settling power bills, this frees up more funds for you to invest in your business, and perhaps, purchase another Superbmelt Furnace. Assurance on Installation, Maintenance, and Troubleshooting:When you do business with Superbmelt you are unconsciously signing up for the best possible customer service. In addition to our team of engineers and technicians who are eager to assist you. We also have a strong customer service team that will easily guide you by phone or mail to handle any minor issues. All the furnaces in the 10-50kg chain tilting range have the replaceable crucible design which make maintenance and repairs 3easy to handle. But even if you’re facing any issues with this, our team is just a phone call or an email away from assisting you and getting your furnace back in operation. The combination of the points above with the benefits and features already mentioned previously for other furnaces results in a high performance furnace. As you already know, we like to leave the buyer with choices, and this range of furnaces is not an exception. Below is a table of the various choices you have to choose from. Now that we’ve looked through the various furnaces that are available for sale by Superbmelt, it’s time to check out the various categories of people or industries that require them and which of these furnaces they may find useful. You will definitely fall under one of these categories, and we can assure you that Superbmelt has a furnace that will meet your precious metal melting needs. 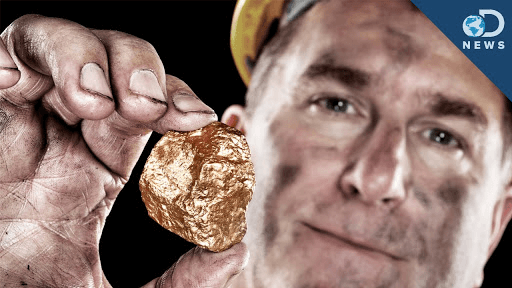 You may not be very familiar with the term ‘personal gold miners’. This is because they are more commonly referred to as ‘recreational gold miners’. When the gold mining industry is discussed, it is more common to hear about all the big gold dealers and the multimillion dollar companies involved in the industry. However, they are only a part of the story. In actual fact, there’s a less talked about aspect of the gold mining industry and these are the recreational miners. Recreational miners are people who take up gold mining just as a hobby. Along the line, they may make enough discoveries or unearth enough nuggets or gold to actually make a fortune. But the recreational gold miner is in the trade primarily as a pastime and not necessarily for the money. In this chapter, we will be taking a look at the kind of furnaces that recreational gold miners may find useful. But before we dive into machines and their technical details, let’s check out how recreational miners have evolved over time. Recreational gold mining didn’t start out as ‘recreational’. The gold prospectors of the 19th century weren’t looking for hobbies or something to kill time with. They were out to make MONEY. Like everyone knows, gold is a very precious and scarce commodity. Perhaps because of its familiar luster and ability to resist corrosion or damage over a long period of time. Therefore, the early prospectors were eager to get out in the field and be lucky enough to find a rich vein and make thousands or millions of dollars. Their major technique of extracting gold from geological formations was a method called panning. This involved pouring water in a pan containing sediments suspected to harbor gold. The pan would then be shaken until the gold descended while water and the other rocks stayed afloat. This method is still in practice today by gold mining enthusiasts who are the present day ‘recreational gold miners’. There were two major events that involved a massive rush of gold prospectors to areas considered to have large deposits. One was the Witwatersrand Gold rush in South Africa around the year 1886, a lot of Gold mining enthusiasts had heard about possible deposits and they converged on the area to see if they could make their fortune. Interestingly, this gold rush was what led to the creation of present day Johannesburg, South Africa. Another important gold rush in the history of gold prospecting occurred earlier. This took place between 1848 and 1855 when as much as 300,000 or more gold prospectors besieged the district of Coloma in California. They worked at this area and some of them struck luck, hitting it big, while others weren’t so lucky and had to leave empty handed. 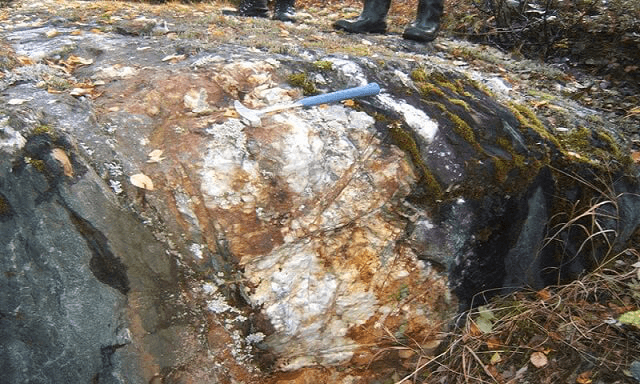 When the gold of this area ran out, it triggered a smaller gold rush in the Cariboo region of British Columbia. About 30,000 gold prospectors, many of them from the California days came down here to again try their luck with cashing in on the gold craze. 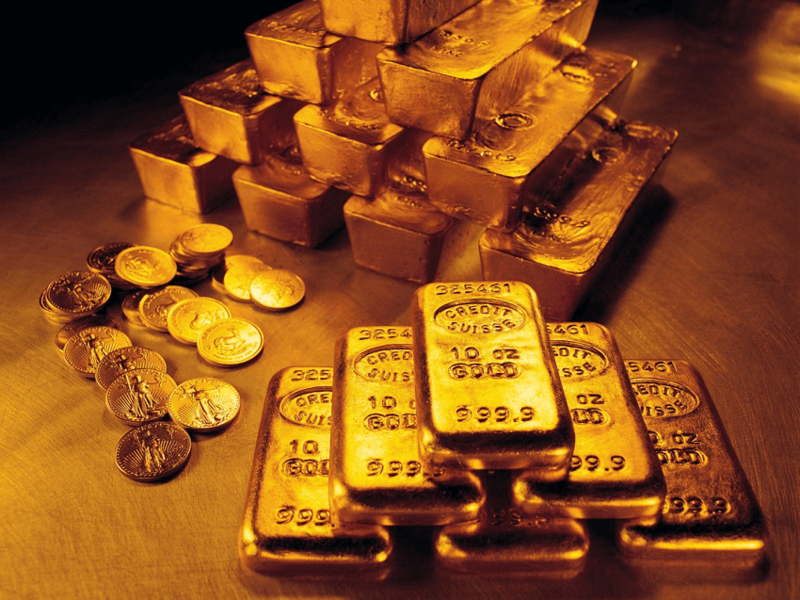 The gold industry has evolved from the period of the gold rushes. With the advent of technology and large scale mining with advanced equipment, larger companies with better funding have taken center stage. Manual gold mining methods like Panning or Sluicing are no longer economical in mining gold for commercial purposes. For this reason, over the turn of the 20th Century, and now the 21st century, individual gold miners now tend to be involved in the business more for pleasure and leisure. Within this period of time, recreational gold mining has taken shape and become an established pastime for so many people. There is even an association for prospectors and recreational miners; The Gold Prospectors Association of America”. Established in 1968, the association seeks the protection of the interests of prospectors, the prevention of environmentally harmful mining and the defense of the rights of Americans to mine and prospect for gold. Various countries have different legislations concerning recreational mining. In some countries, mining is completely disallowed for various reasons. These reasons include the prevention of pollution due to impurities found alongside gold such as mercury. Some other countries allow the prospecting of gold to various degrees of liberty. For example, there are areas where there is a limit to the kind of tools that you can use in prospecting for gold. It is important to know for sure the legislation guiding prospecting and gold mining before taking up this hobby. Some of the countries that allow recreational mining to various degrees include New Zealand, Australia, Indonesia, Japan, the United Kingdom, and the United states. Now that we’ve learnt a little about how personal mining has evolved over time, the next question is, why do personal miners need a Gold furnace? The next section answers this question. Gold smelting process is not a new process. Literatures had that this process has been existence as far back as 6000BC. ?Most sources claimed that smelting originated from Mesopotamia Babylon (now Syria). Prior to industrial revolution ? ?gold ore were primarily extracted from the earth using simple earth tools?. The same process still applies till date only that the technology has changed. But the processes still remain the same. Below are some of the most important gold smelting processes you need to acquaint yourself with. This stage is often known as the pre-treatment stage. It is the first stage in smelting process chain immediately after exploration. In the stage the bulk on the job involves separating your gold minerals from earth (crude matter) that binds the gold ores together. ?After the separation of the ores from the crude matter. The gold ore is now further pulverized under pressure into fine particles. After the ores has been pulverized into the desired sizes. The grounded gold ore will now be further subjected to temperature above the melting pint old gold (1064℃). The reason for subjecting the ore to such a high temperature is to primarily melt the gold and further destroy impurities trapped in the gold ore. However, it should be noted that not all the impurities will be completely removed by eating. There chances that you may still have other metals trapped in the ore and this takes us to the next step in the process. 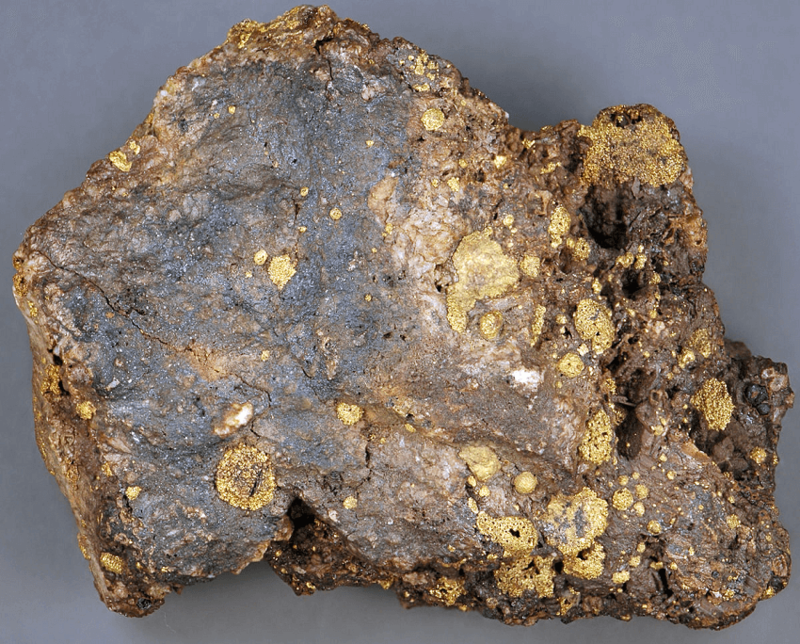 Gold ores upon exploration are often accompanied by dangerous chemicals which if not removed can be deleterious to the human health and can as well damage most of the equipment’s used In the refining process. It is however, very important that these dangerous chemicals are completely extracted and eliminated from the ores before moving to the next stage of the smelting process. Now the question is, what are these dangerous chemicals? Gaseous mercury can be hazardous when inhaled. Owing to its heavy metal characteristics it is very difficult to get rid of when ingested into the body system. To completely remove traces of mercury from your gold ore. You either subject the ore to continuous heating in a retort or employ the amalgamation process? (This process is no longer in use in most mines today). However, mercury can also be removed from gold ores either through leaching or participation. After all the chemical ores has been completely eliminated from the gold ores. We then proceed to the next phase of the smelting process which is in the complete removal of other impurities. At this stage most of the impurities trapped with the gold ore are in trace amount and they can easily be removed by strong chemicals such as potassium cyanide. Once you satisfied with the level of purity of the gold. It is then taken back to the furnace and subjected to further heating for the last time: This is done so to get the gold ready for mold into ingots. (ingot: ?gold bar mold into different sizes for commercial purposes) . Iron trapped in gold ore can easily be oxidized with Nitre if not completely eliminated as it could easily corrode the smelting pot been utilized which in turn may led to leakage which may as well be catastrophic. However, iron and other impurities such as zinc can easily be removed from the gold ore through the addition of flux to the mixture. The initial gold prospectors hardly had to worry about what happened to their gold after hitting the jackpot. The exhilaration and amount of profit that would come as a result were often enough more than enough for them. They would just focus on mining all they could from the tract of land and sell it out to those interested in further processing. Some wouldn’t even get involved in the mining any longer. They would be content with turning the land over to either a company or the government and start collecting royalties on subsequent mining activities. Fast forward to the present and that is not so practical any longer. The gold mining industry has gotten quite competitive and is now the playground of big business. There are hardly any huge deposits left for recreational miners to make any big discoveries any longer. The meagre findings they make from panning or sluicing are not economically viable commercial sale. Therefore they either just collect the raw gold and other precious metals they find for keepsakes, or they experiment and play around with it. This is where the need for Gold melting furnaces come in. Some recreational miners enjoy playing around with the raw metals they find. It’s also interesting to try molding the raw metals into different shapes and see what can be made from it. For example, your spouse would forever treasure a necklace or bracelet made from gold that was personally mined by you. To achieve all this therefore, recreational miners have had to purchase gold or other precious metal melting furnaces and experiment with the products of their hobby. This is why you’ll often find recreational gold miners trying to find the most affordable gold melting pots for sale. The purchase of melting furnaces is now an important part of the game for many recreational gold miners. It is common to notice recreational miners having a small shed behind their houses solely dedicated to experimenting with melting gold and other precious metals. For some others, it may even be a small part of their garage housing one or more furnaces. However, considering the fact that theirs is not a commercial application of course, what they often require is a mix of good melting capability. A furnace that can attain temperatures high enough to liquefy their precious metal, but at the same time not too expensive. This can be quite a difficult mix to find on the open market. Good quality melting furnaces don’t come cheap, and when they’re cheap it’s either low quality or not likely to last long. It’s at this point that Superbmelt becomes helpful. Already, there are a couple of furnace types in common use by recreational gold miners. A good example is the propane burner powered melting furnace. Also, the resistance furnace has also been a popular option among recreational miners. As good as these furnace types are, their technologies are not the best you can find on the market. It may be argued that these will do just fine since the required application isn’t a commercial one, but just experimental in nature. Yet, what is worth doing is worth doing well. Why settle for second best when the best is available? 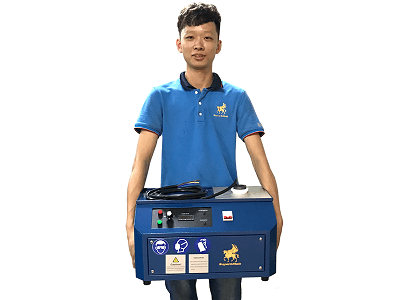 The Induction furnace IGBT technology provides a superior performance than both of the afore-mentioned heating systems (Resistance furnace and Propane burner). Even more importantly, Induction technology consumes less power than any of the two technologies mentioned previously while still delivering higher heating power. Now to cut to the chase, which furnaces would we suggest for you to purchase as a recreational gold miner? 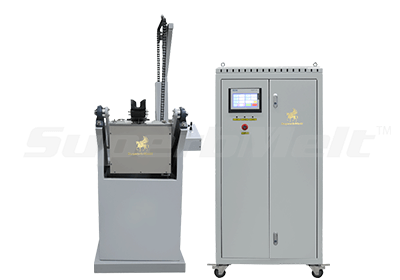 There are two types of gold melting furnaces available on sale by Superbmelt that will be perfectly suitable for you. 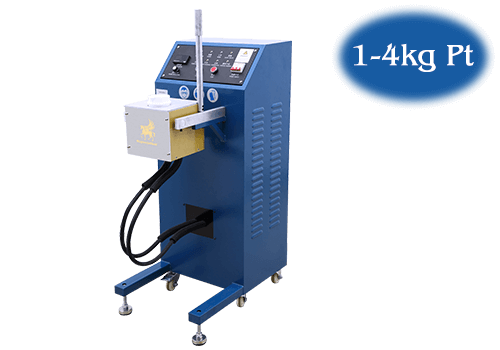 The Mini 1-2kg Gold Melting Furnace: A lot has been said about this already, you’ll find the details about this small scale furnace in section 1.1 above. It’s just the perfect tool you need to do all the tinkering and experimenting you want at home. The 3-5 Kg gold Melting Furnace: This is a little larger than the first furnace suggested. If you’re looking to have a little more space to play around with, then you want to go for this machine. Again, we’ve had a lot to say about this machine and you should check out section 1.2 for more details about this. Now you may be wondering how this category of people differ from the personal or recreational gold miner. Well, you’re quite right to wonder about this. The differences between DIY precious metal enthusiasts are less than the similarities between them. For example, DIY precious metals are also sometimes involved in gold panning and sluicing, just like Recreational miners. However, DIY precious metal enthusiasts do more than just go for the gold in rivers or at the foot of mountains. Precious metal enthusiasts virtually search everywhere for gold. From old circuit boards of computers, radios, TVs, and other electronics to old jewelries, coins, and watches. DIY metal enthusiasts virtually go for the gold everywhere they can find it. Also, considering the fact that there are regulations in various countries restricting how intense recreational miners can go, DIY precious metal enthusiasts have some more flexibility in their approach. 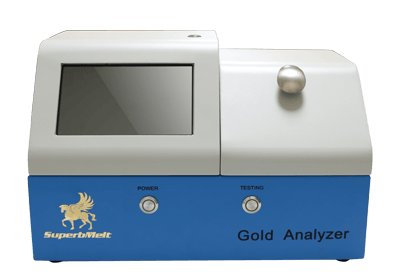 DIY precious metal enthusiasts are able to use metal detectors and some other electronic devices in identifying potential sources of precious metals. Furthermore, DIY precious metal enthusiasts are also able to kind of hack the electroplating process, reverse it, and recover some of the gold that was originally used in the process. Another way in which DIY metal enthusiasts also seem to have more clout than recreational gold miners is in the further processing of raw precious metals. Many recreation miners may be satisfied with just collecting the raw metals and keeping them as relics, something to show friends and families. However, there is hardly any DIY precious metal enthusiast that is just satisfied with collecting scrap metal and leaving it that way. More often than not, precious metal enthusiasts are inclined to seeking ways to process the raw metals and get something done with them. Melting is an important precious metal extraction process: Like we discussed in the previous section, DIY enthusiasts use various methods to recover gold and other precious metals from scrap and other sources. The reverse-electroplating method that was mentioned earlier involves the use of chemicals. Unfortunately, some of these chemicals can be quite corrosive and even harmful to human health. This is also coupled with the fact that the reactions may take some time to occur.However, melting is a very viable option. The process starts with melting down the alloy, metal dust, scrap electronic circuit or old jewelry. 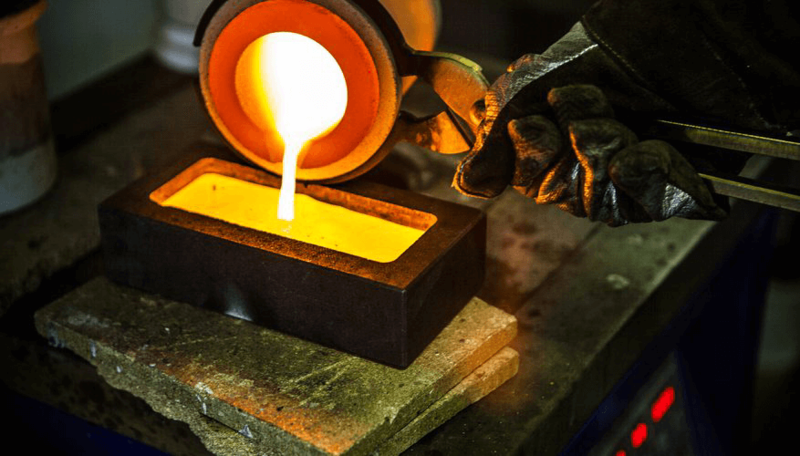 Impurities can then be gotten rid of using flux, leaving the pure precious metals in molten form, ready to be poured into mold to form new items. ?A furnace is obviously the best way to achieve this purpose. Therefore, precious metal enthusiasts need furnaces to optimize their precious metal extraction or recovery process. Alloys are often encountered: Regardless of the source from which the raw gold is being sourced- panning and sluicing by recreational miners or scrap metals and various random possible carriers of gold. One common characteristic of gold and other precious metals is that they hardly ever appear in isolation.They’re often found in combination with various other metals as alloys. To get these other metals out of the way and recover the important precious metals. Again, precious metal melting furnaces are the best way to get this done. By taking the important first step of melting down the alloy into a molten form, it becomes easier to do the actual separation. Therefore, furnaces are important for DIY precious metal enthusiasts and will be highly necessary in the salvaging of precious metals from both alloys and scrap metals. Just like it was discussed about personal gold miners, DIY precious metal enthusiasts also have a couple of existing methods for getting the melting of their raw metals. We have already discussed Propane burners and resistance furnaces for personal gold miners. In addition to these, DIY precious metal enthusiasts also make use of blow torches for melting. However, all of these can only do so much. The time required to get the raw metals up to and beyond gold’s melting point of 1060oC with this metals is often prohibitive. Also, as is often the case for DIY precious metal enthusiasts, the amount of scrap metal to be melted may be quite much and getting this done will lead to multiple batches. 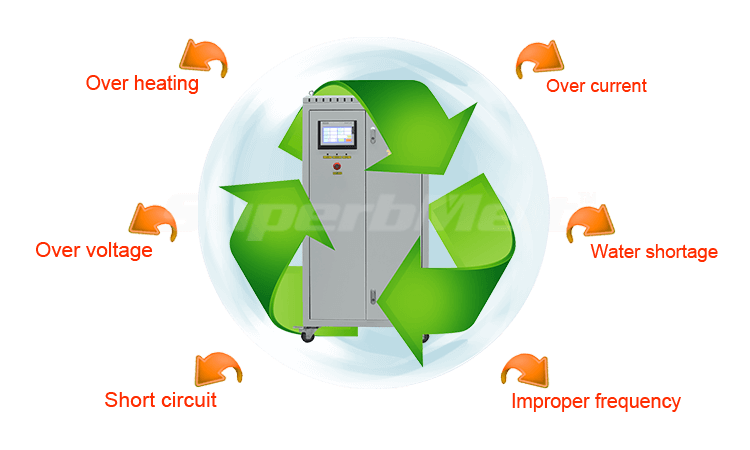 All of this problem are solved effortlessly using Superbmelt’s 3-5 Kg gold Melting Furnace. We will again refer you to section 1.2 for further details concerning this furnace. This process of definitely new, not as common as the later. Basically, in a lay man term, this process is simply the separation of other metals from gold with the exemption of platinum with the aid of an electrolytic setup. This separation of other form of metals occurs with the process, because with electrolytic setup. Once current is passed through, the system, all other metals with the exemption of gold and platinum will dissolve into liquid and can easily be purged. Purity level of about 99.5% is very possible with this method. A crucible container that will be used to hold the gold during the melting: this is used because it has high endurance for extreme heat. A pair of tongs to hold and move the crucible. They are always fabricated from materials that are resistant to heat. If you can’t get a crucible, potatoes are also used to melt gold. All you have to do is make a hole into the potato and put your gold in it. A flux: for removing impurities from the gold. It is a substance that is mixed with the gold before it is being melted. The more the impurities present in the gold, the more the flux used. A mini induction furnace is a small kiln with high power specifically designed and manufactured for melting of precious metals like gold, silver, platinum etc. 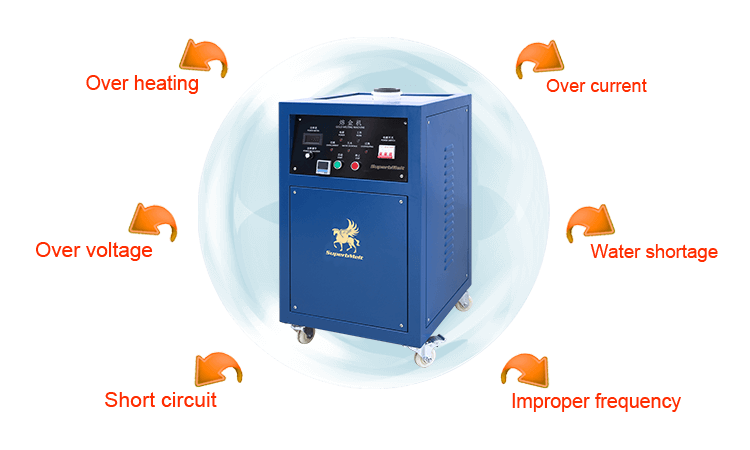 our mini induction furnace costs about $900, as they are safer to use and entirely dependable. This furnace also allows for the mixture of metals such as gold, copper, silver, aluminum etc. 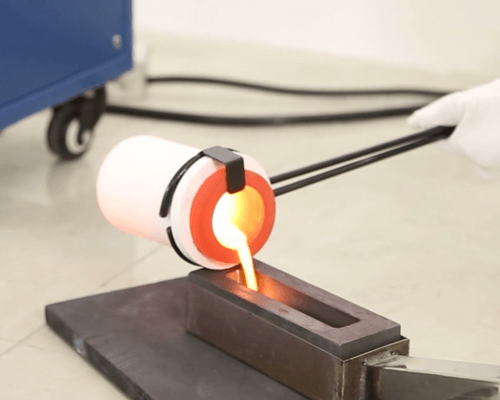 This is a commonly used method of melting gold at home. What you have to do is to put the gold in the crucible, then place the crucible on a surface (has to be fireproof) and point the propane burner toward the gold. If chemical borax has been added to the gold, it will require low temperature to melt. Carefully and slowly bring down the torch if the gold is in a fine state as it could easily be blown around. You should also avoid heating the crucible too fast because it could crack it. Heat thoroughly and slowly. Ensure you wear a face shield and safety goggles to protect your face and eyes. Also, wear heat-resistant gloves on both hands and a heavy apron. DO NOT melt gold near anything flammable. This can be a very dangerous thing to do. Mining has really come a long way from its humble beginnings. From an activity strictly meant for prospectors and fortune seekers, it has evolved into a mammoth industry employing various professionals across different fields of knowledge. Economists, logistics professionals, traditional miners, metallurgists, mining engineers and researchers all have a role to play in the today’s contemporary mining and precious metals industry. Either it’s optimizing the actual mining process itself or creating better products from the raw precious metals. There’s something for everyone to do within the precious metals industry. Interestingly, the technically oriented professionals in the gold mining industry all require experimentation to constantly improve the quality of their trade. Universities and Colleges training students and future professionals in these fields require laboratories that must be equipped with working furnaces. This will help to experiment and try out various operating conditions. Students develop a better understanding of the mining process and are able to do better when they get into the industry. Asides schools, the corporate or industrial gold mining world also requires laboratories that are equipped with furnaces. Research is a never ending process and therefore, professionals in the Gold mining industry still need to continue experimenting and discovering new things. For this reason, gold (and other precious metals) mining companies require Research and Development (R&D) laboratories. Of course these laboratories need to be equipped with furnaces for carrying out experiments at high temperatures. In this section, we will be checking out the different fields under gold mining and how furnace equipped laboratories might be useful for them. Metallurgy: Just like the name implies, this field is concerned with the study of metals. Its application and utility to gold mining is explained by the fact that gold and other precious metals are actually metals (no pun intended).Metallurgists are therefore needed in the gold mining industry to carry out further research and improve the present understanding of the properties of gold and other precious metals. Often these investigations are carried out at high temperatures and so metallurgists require the use of gold melting furnaces in their laboratories to assist with their investigations. Material Science and Engineering: This is a broader field under which metallurgy falls. Material scientists and engineers study the properties of materials as a whole, metals and non-metals included. And just like their counterparts in metallurgy, Material scientists and engineers also need furnace-equipped laboratories to assist in their research and study of material properties.Various attributes like brittleness, strength, malleability, ductility and so many others are what Material scientists try to understand. This understanding will, in the long run, help in further understanding properties of the various alloys and ores in which precious metals are found. Understanding these will help to improve separation processes and optimize the recovery of precious metals from their ores and alloys. Mining Engineering: This field is concerned with the extraction of gold, other pure metals, and minerals from their underground (or otherwise) deposits. Mining engineering is an important profession to the gold and precious metal mining industry due to the fact that it has a direct influence on the industry as a whole.Universities, colleges and technical schools seeking to equip students with the required knowledge to be mining engineers all need furnace equipped laboratories. Often, the underground reservoirs containing gold and other precious metals are at high temperatures and pressures. Therefore, to simulate this condition and develop commensurately improved mining processes, Mining engineers need laboratories equipped with furnaces. 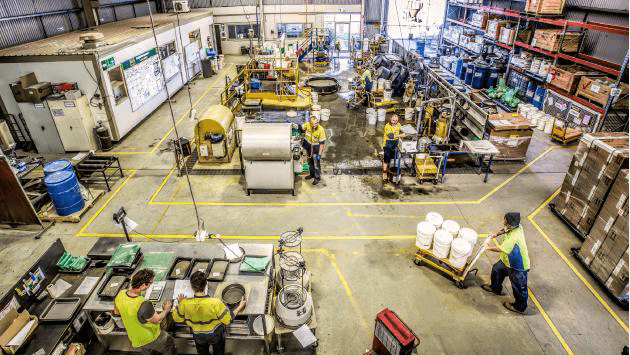 Gold Refining: This is perhaps the aspect of the gold mining industry in which furnaces are most needed for experimental and laboratory purposes. 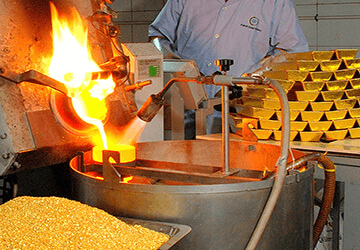 The process of refining raw gold and molding it into various shapes for different items is a continuously evolving one.To keep up with this evolution, every gold refining company or even individual requires a R&D unit to carry out tests and different temperatures and find what works best. Again, this is another aspect in the gold mining industry where the use of gold smelting furnace at the laboratory scale is practically indispensable. Metallurgy: Metallurgy laboratories, both at the academic and industrial levels require a medium sized furnace for their experiments. We are confident that the integrated 3-6kg gold melting furnacewill be useful for this purpose. Please refer to section 1.2 for more technical details concerning this furnace. Over a millennium, gold has always been adored by man. But the question here is how do we get it out of a gold mine. There are two ways to mine gold. One is the “placer mining” and the second is known as “vein mining”. Another way of mining gold is when we collect gold as a by-product when we mine other metallic substances. 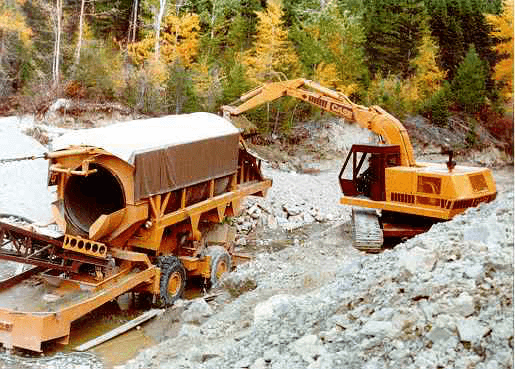 The simplest way to carry out placer mining is panning. Panning requires the miner to rapidly swirl the gold mixture in a pan to hold the water and a great amount of the gravel and sand at the edge while gold stays at the bottom. This method was the classic method the Forty-Niners used during the California gold-rush of 1849. A more efficient way to carry out placer mining is by using a sluice box and a U-shaped trough with a slope and transverse bars that are attached firmly to the bottom of the trough. The transverse bars that are attached from one side to another pulls the heaviest particles and the prevent them from being washed down the slope. Sand and gravel are placed at the top, the channel to water supply is then opened, and the materials that are light-weighted is washed via the sluice box and then goes out via the lower end. Gold is thereby recovered when the materials are trapped behind the bars and goes through gleaning. Lode or vein mining happens to be the most important method for mining gold. Every ounce of recovered gold requires 100,000 ounces of ore to be processed. A large amount of gold is deposited in the rock veins and vein method accounts for over half of the total production of gold in the world. The gold present in the veins are either in the size of microscopic particles, gold compounds, nuggets or sheets. One-third of the total gold produced in the world is either produced as a by-product of lead, copper, or zinc production. Ore that is gotten from the gold mine is initially crushed in ball or rod mills. Doing this reduces the ore to finer substances. Gold is thereby extracted by the amalgamating it with mercury. At this point, about 70% is recovered. The remaining material is dissolved in a dilute solution of Sodium Cyanide or Calcium Cyanide. Adding metallic zinc to the solutions causes the metallic gold to precipitate. The precipitate is then refined through smelting and electrolysis is then used to complete the purification process. Our machines have a two year warranty which is a year longer than the warranty given by other factories. Also, our company is a government audited Superb as AAA credit company which is top level. In addition to this, we only use popular brand main electric components only when we manufacture our machines. Our company has been professional certified to be among the top companies that produce quality machines, and we have the a strong and ready-to-work service team that is always be ready to attend to you, our professional engineers will always find a solution to whatever difficulty you are facing. Furthermore, our induction melting furnace has enough stock and it reduces our delivery cycle. You may want to know how we control quality. Well, the first thing we do is material purchasing management because we only choose famous brand main electric components when we produce SIEMENS, SMC, OMRON and PANASONIC. Then, we operate an efficient assembly line production process. All the workers we use are responsible for providing top quality machine and they are supervised by top-skilled and professional engineers. We also carry out series of tests in our quality control system to assure top-quality. Some testing projects are residual voltage electrical test, appearance quality inspection, test for leakage of water, debugging of the electric circuit, test for shelf life and checking for the package test. In terms of supply, for customers who want to build a plant for gold smelting or a foundry for jewelry casting which is relative for supplying equipment only, you can trust us to carry out the entire program for you. We have two production foundations in Shenzhen and Zhejiang. These foundations are close to the Ningbo port and the Shanghai port. This way, cost of transportation will be saved greatly compared to other factories. The nearness of our foundation also reduces the risk of damage. We have a team that provides pre-sale installation services to our clients as well as commission service. You’ll also be provided with a free technical maintenance for the equipment you purchase. We are your strongest backup. The selection of the appropriate furnace to use in Precious metal mining, as well as refining can be quite a tricky process. We hope the comprehensive guide above has provided some assistance for you, one way or the other, in making the right choice. The gold mining industry can be a very rewarding one provided you have the right tools and equipment to use, and that is what we provide you with at Superbmelt. In the event that you find any of this information confusing and need some specific guidance or assistance. All you have to do is log on to our website and you’ll be sure to find an online customer rep ready to discuss with you and assist you 24 hrs.